AKA Eugene Luther Vidal, Jr.
 Famously quipped "I'm a born-again atheist." 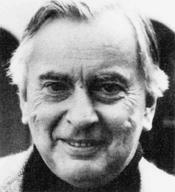 According to Frank Conniff, "Gore Vidal dreaded the idea of an afterlife, because it would mean he'd have to see Norman Mailer again." Robert Aldrich and Garry Wotherspoon, Who's Who in Contemporary Gay and Lesbian History: from World War II to the Present Day (2000), pages 421-22. But perhaps the public's first knowledge of this fact is an infamous television interview. Following the Chicago Police attack on demonstrators at the Democratic National Convention, Vidal debated William F. Buckley on ABC on 28 August 1968. Buckley took the side of the police, and Vidal that of the demonstrators. The debate ended sour with Vidal sparring, "As far as I am concerned, the only pro or crypto-Nazi I can think of is yourself." Buckley interrupted, "Now listen, you queer, stop calling me a crypto-Nazi or I'll sock you in your goddamn face and you'll stay plastered." Recounted in Gore Vidal, "A Distasteful Encounter with William F. Buckley, Jr.", Esquire, September 1969.